It wasn’t that long ago that online dating still felt like a taboo thing, when the fact that you had Tinder downloaded on your phone wasn’t information you would readily share with everyone. Fast forward to 2017 and it seems that it has become the norm. People lead such busy lives that suddenly meeting someone on Tinder is a lot more practical that the traditional method of dating we’re all used to. I’ve heard so many Tinder success stories lately, especially since moving to London, where it seemed there really wasn’t any other way to meet new people. Yet, as a self proclaimed overgrown emo child, I was sceptical just how easy it would be to win people over with all my emo glory. 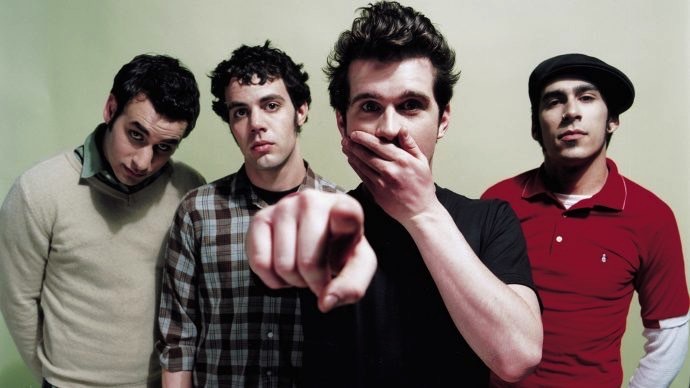 Spending 85% of my existence either listening to or talking about Brand New, I decided to conduct a little experiment. 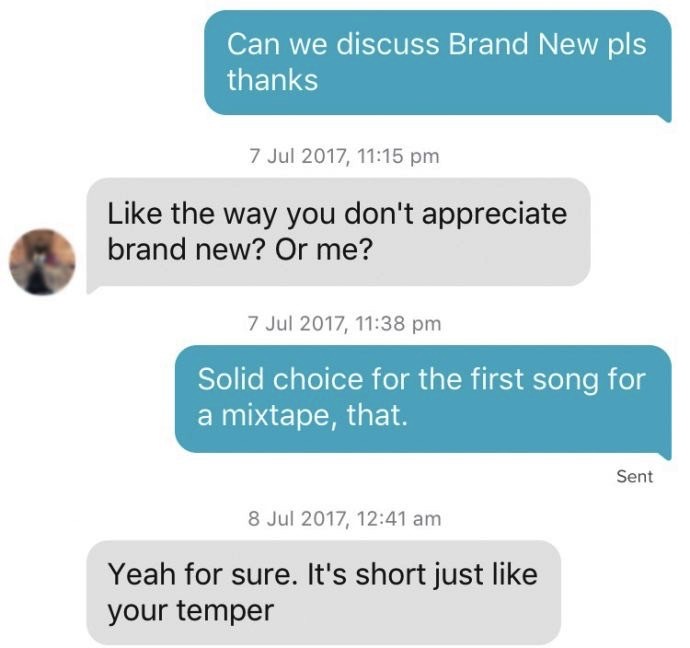 If I slipped in dark Brand New lyrics into my Tinder conversations, how many men would easily brush it off as normal? 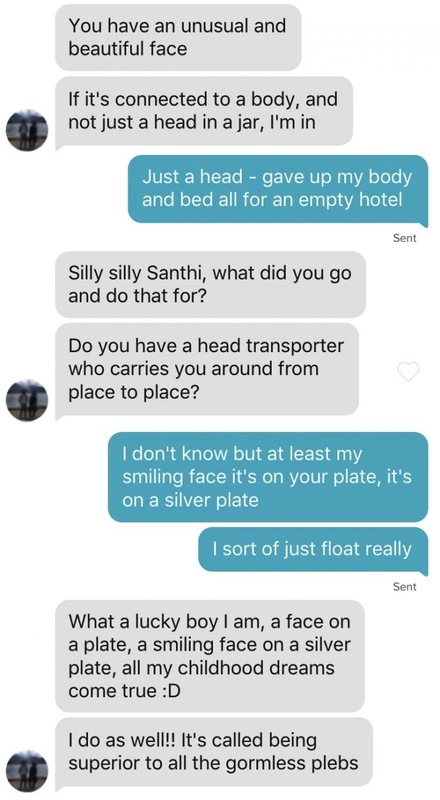 For starters I am very impressed that his homeboy thought telling me I had an unusual face was a good opening line. Wow, what a lad. Then surely, talk of being a body-less head is not something you encounter everyday? Props to Homeboy A for acting like it’s a completely normal occurence he’s been waiting for his entire life. Thank you for making weirdos like me feel “normal”!